during which it increased its luminosity by a factor of 100 million. 170,000 light-years in radius.... big enough to encompass our whole galaxy. and become too weak to be seen in some other faraway galaxy. and search for "Vander Velde"
Not since the year 1604 had astronomers observed a supernova this close to earth. That one probably gave inspiration to Galileo to develop the telescope, which he did, four years later. 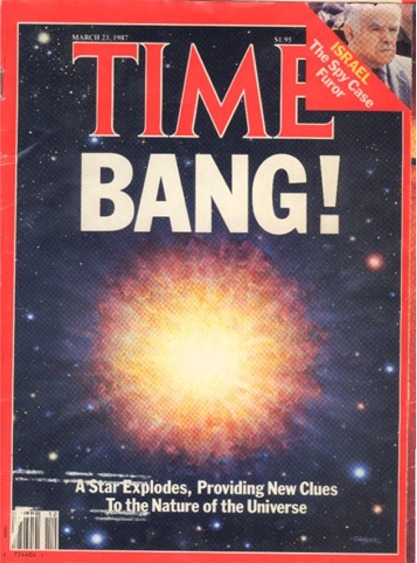 No wonder, then, that SN1987a made the cover of Time Magazine on March 23, 1987. 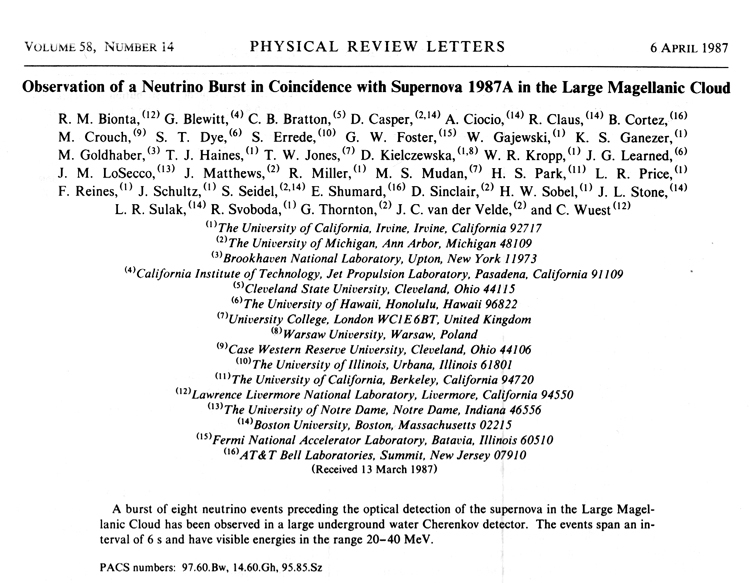 This event has given us a wealth of information about the physics of supernova explosions. 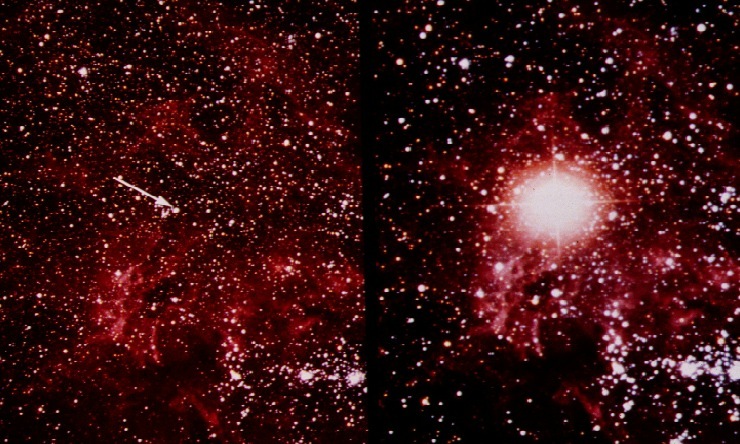 The expanding shell, now over one light-year in diameter, is still being carefully studied. 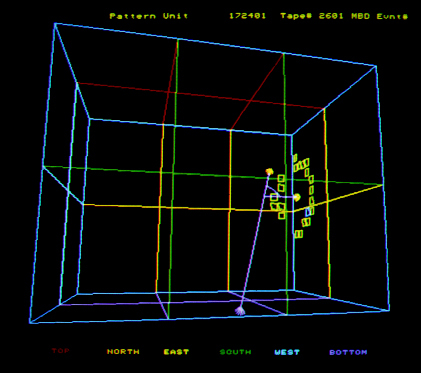 It's shown at right in January, 2000. 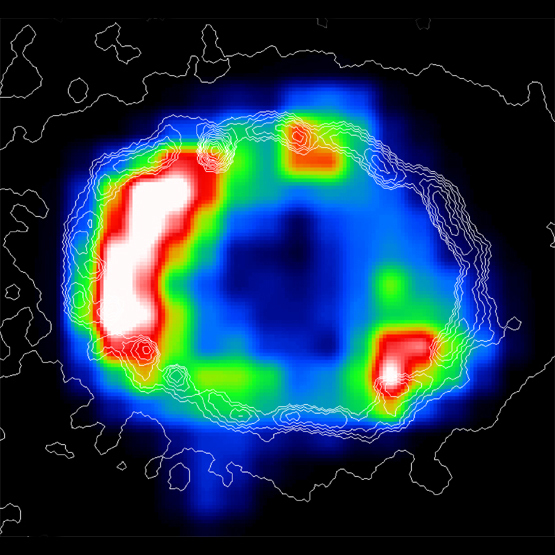 The colors represent X-ray intensity as seen by the Chandra satellite. 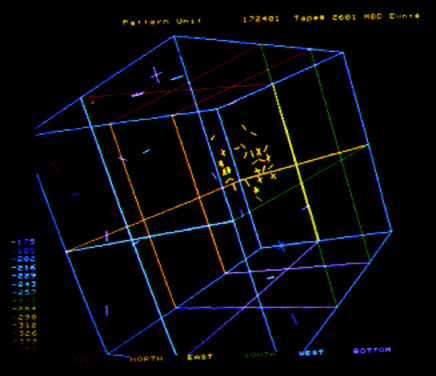 The white lines are contours of visible light as seen by the Hubble telescope.